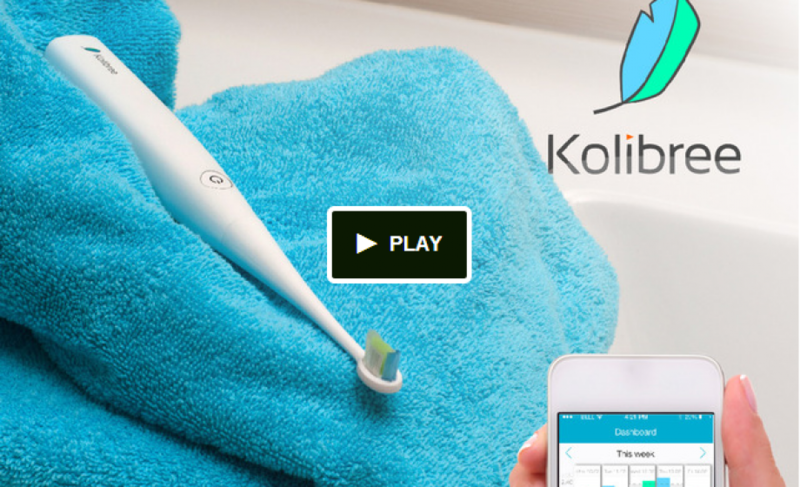 After launching at CES 2014 earlier this year & going head to head with Oral B at Mobile World Congres, connected toothbrush startup Kolibree has launched a Kickstarter campaign to raise $70,000 over the next month and a half. In their campaign video, co-founder Loic Cessot explains how Kolibree’s connected toothbrush uses an intricate combination of censors in the toothbrush’s head to track where you brush (and where you don’t), after which it sends the data to your smartphone (Android & iOS) to process that data and spit out analytics (pun intended). After some initial skepticism around the product’s utility, I became convinced after talking to co-founder Thomas Serval, who will be speaking at our Connected Conference later his year, and learned that the company’s vision for connected health goes beyond their albeit sleek smartphone & tablet apps. As demonstrated in the video above, the application allows users to communicate directly with their dentist, which means that instead of a fragmented once every month (or year, or worse) picture of your dental health, your dentist can analyze and prescribe based off of daily data. With this kind of engagement between patient and practician, one could easily imagine Kolibree going beyond tooth brushing, evolving a doctor’s role from that of an engineer (picking at your teeth, taking X-Ray pictures, etc.) to the job they are trained to do – make sense of the data.